Raleigh, NC – Warehouse Management System Implementations can be complicated. Open Sky Group’s main focus for over seven years has been working with clients to make them happy with their chosen Warehouse Management System software. 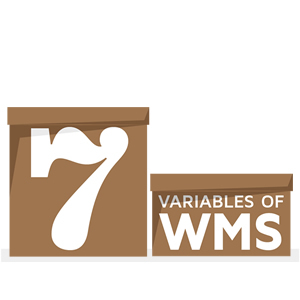 Part of that help has been to simplify and streamline the thinking around implementations and now we’re sharing that with everyone in the form of a free infographic, the 7 Variables of WMS Implementations. Get your copy here. The 7 Variables of WMS Implementations is meant to be a guide to preparing for a WMS implementation (or really any larger type of software implementation). The infographic is a great starting point for an organization and a way to shape the initial discussions about what will be needed, what needs to be taken into consideration. Open Sky Group specializes in the implementation and integration of supply chain software, with a focus on JDA Warehouse Management and JDA Warehouse Labor Management software. With over 10 years and 400 projects behind us, we know a lot about operations and a lot about WMS software and what it can and can’t do. Contact Open Sky Group today to learn how we can help you with your WMS or Labor software implementation.